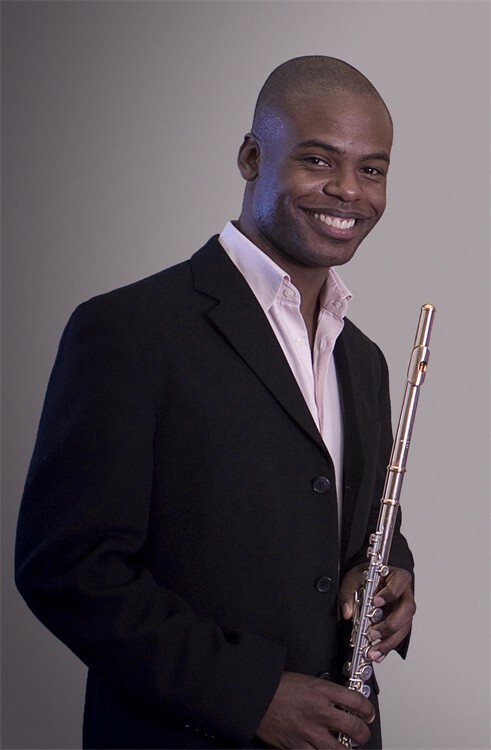 I had a chance before the performance on Sunday to speak with Seattle Symphony’s new principal flute player, Demarre McGill, who plays the gorgeous flute solo that opens the Elysian Fields scene of Orphée et Eurydice. 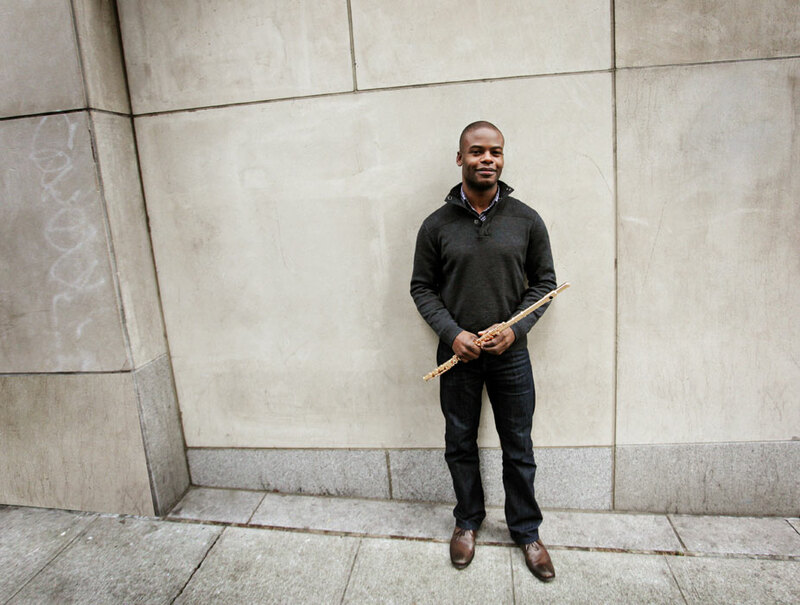 Demarre, who was chosen by Ludovic Morlot, the Seattle Symphony’s new music director, moved to Seattle in the fall from San Diego. We spoke about the meaning of this amazing solo, how he first played it as a small child, and his exciting upcoming plans. 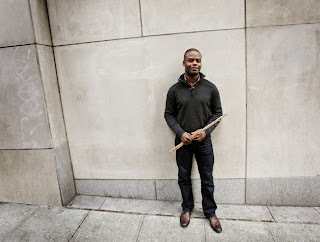 Demarre, now that I’m down here in the pit and can see your flute up close, I’m struck by its color. Yes, it’s 14 karat gold, made by Powell Flutes, a company out of the Boston area. I bought it new a couple of years ago. Well...it was built and I bought it. (Laughs) I like to think it was built just for me! It’s a beautiful instrument. Does it sound noticably different from a standard silver flute? Yes, the different kinds of metal each vibrate differently, which changes the sound. Gold flutes tend to have a warm sound, a bit darker than a silver flute, which sounds...silvery. Two, I own a silver flute as well. But I never play it, ‘cause I’m in love with this one. Do you remember the first flute you ever played? Of course, I was about 7 years old, it was a used flute my mother bought for my father when they were dating in the early 70s. It was silver-plated and we just found out that the flute was put out by Sears. Okay, let’s talk about the solo in this opera. Have you played this piece before? Yes, it was the first solo I ever played. With piano. Yes. By the time I was 9, the music director at my elementary school would have me play a solo at the choir concerts. And you played the “Dance of the Blessed Spirits” from Orphée et Eurydice! Uh...I don’t remember. But I do remember I was obsessed with it. So what are you thinking when you play it now? In the first couple of rehearsals, I was just trying not to play it the way I did when I was a kid! That was the last time I played it. You haven’t played it for every audition ever since, that kind of thing. No. Right now, I’m just in it—it’s a very easy piece of music to get involved in, emotionally. It’s so simple, so gorgeous—even though I’m playing, I’m just feeling. But melancholy doesn’t have to be a negative thing. It feels introspective to me...very intimate. I’ve never been to heaven. (Laughs) But it doesn’t have to be a party. For me, this is beautiful because of its intimacy. It’s very, very personal, and haunting...but I don’t think it’s necessarily a negative thing. Not in terms of pacing, but to go back to that opening section, which I think is just glorious, to return to that, it completes the picture. You don’t end in the minor. So that first “A” section is part of what makes it heavenly. On opening night I was sitting next to somebody who had clearly been getting standing room tickets for this opera for decades, he knew it by heart, and he tried to applaud at the end of the solo. But you don’t really stop...you link it, musically (hums) to the return of the opening music. Well, I can’t just stop...it isn’t done yet. It’s done when the A section is finished. What’s the best opera for flute? There’s the famous solo in Lucia, that’s a big flute moment. I love opera, the standards, the newer works. 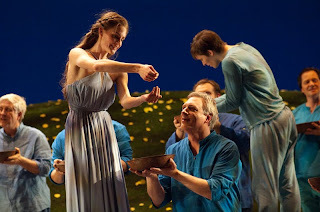 I’ve played Peter Grimes a couple of times, and I love it, I love it. Your brother Anthony also plays operas. Yes, he’s principal clarinetist for the Met. Do you ever go listen to him play? I do. Or I can just listen to him on the radio or go to the movie theater! How did it work out that you became a flutist and your brother a clarinetist? I’m four years older, and by the time he started playing I had already been playing for six years. At that point, I was in it, I was practicing all the time and I loved it, so it kind of made sense that he would do something. And he’s great, he’s had great success. --so this is nothing! I’ve been in warm climates for about 11 years, but coming up here, whatever I developed growing up in Chicago has kicked in, and this is nothing. No, I love it up here. I’ve met so many wonderful, interesting people, great restaurants, I love the cultural vibrancy, I love the orchestra, I love the opera. Last fall, we did Carmen. Will we get a chance to hear you playing chamber music in Seattle? Hopefully soon. I run a chamber music non-profit in San Diego, Art of Elan, and I want to start a branch here. It’s been a pretty good success in San Diego, and I think the cultural climate here is such that it would work really well. Do you concentrate on new work? We do anything and everything. We’re not a new music organization, we’re not an old music organization, we program short concerts that we would want to listen to and we wouldn’t be bored at. We have a series at a renovated warehouse space in San Diego, and another at the Museum of Art. Our programs are always short, and consist of a lot of music you haven’t heard before but we know you will love. Thanks for sharing! Gold flutes definitely have such a warm, rich sound- can't wait to hear him play!